Other Products, Licenses, and Update Service Products are delivered electronically via a customer initiated download. As a business practice, every product that Janco offers is reviewed and updated if appropriate at least once every year. In addition, when there is a major change do to conditions in the areas surrounding information technology or the IT function such as new legislation like the California Privacy Law or the EU's GDPR, Janco reviews all effected products to ensure they are current and applicable. It is for this reason that Janco offers subscription update services. At the very least the IT Salary Survey is updated at least twice a year - once in January and once in June. All of the job descriptions are reviewed in detail in the fourth quarter and updated. Any new jobs titles are added to inventory of job descriptions at that time. Also during the year, if a new job title has sufficient demand it will be added to the full set. The Security Manual template is review at least 4 times a year and an update template is created if there are any material changes. 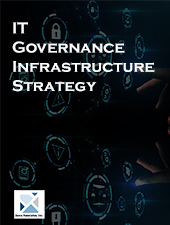 In order to address to say current enterprises need to continuity invest in keeping their infrastructures up-to-date and in compliance with the ever changing technology and compliance requirements. To meet these needs Janco offers update services and enterprise wide licenses. If you cannot find what you need here please contact us directly at e-mail at: Contact Janco Associates, Inc.
Key to effective and efficient management of technology is an over-all governance process that include best practices which add structure but do not limit creativity.